By now all of you know about the devastating earthquake which happened yesterday in Haiti. Last May I joined the Haiti Initiative Service Mission as Chairwoman, to help women and children in Haiti. I have a concert slated for March 5, with a great group of eastern NC musicians, to raise funds for the children of Haiti. We have been able to send over $18,000 to Haiti since last May. After yesterday’s events, the concert fundraiser is needed more than ever. However, the children of Haiti need our help now. Additionally the Haiti Initiative and its NC partners have 4 people in Haiti right now on a medical missions trip. They sent word to us last night that they are alive, but others did not survive. If you live in NC, you have a unique opportunity to send aid which will directly reach orphans and other children in need. I am working, as I write this blog, with local and state organizations in NC so send IMMEDIATE AID to Haiti. I am receiving live email threads with status updates on our local workers there as we speak. So stay tuned for updates on HOW, WHERE, and WHAT you can donate. All donations will be tax-deductible. Drop offs will be possible if you are local to Eastern North Carolina. The US and many other countries are mobilizing to help Haiti immediately. However, we all need to do our part as individuals. 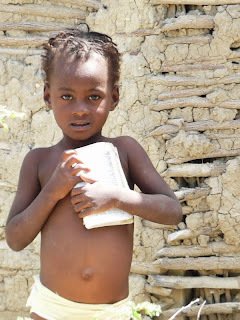 Please – stay tuned to this blog to learn how you can DIRECTLY help Haitians through providing aid to North Carolinians working in Haiti now – through a LOCAL EFFORT. *photo taken in July 2009 by a fellow NC volunteer worker on a medical mission to Haiti. Previous Post: « Women’s Rights – How Far Have We Come?